Sunday Square Off debate featuring Democrat Kathy Hoffman and Republican Frank Riggs, the two people vying to be Arizona's top education official - superintendent of public instruction. Many Arizona voters say education is their No. 1 issue in the November election. 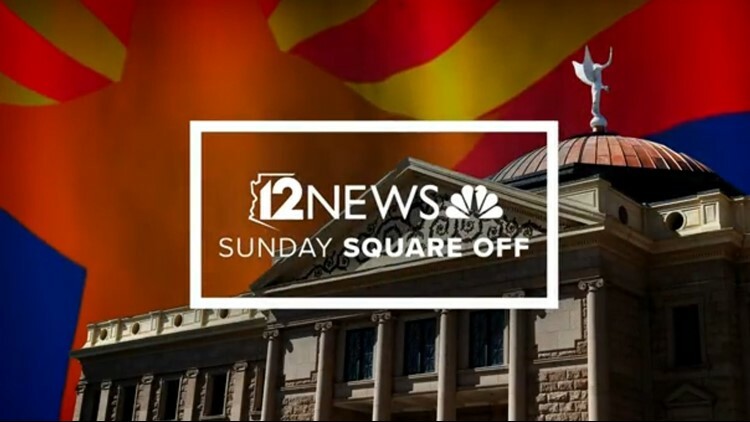 At 8:30 a.m. Friday morning, 12 News’ “Sunday Square Off” live streamed a debate between the two people vying to be Arizona's top education official - superintendent of public instruction: Democrat Kathy Hoffman and Republican Frank Riggs. Hoffman, a special education teacher for five years, defeated longtime officeholder David Schapira in the Democratic primary. This is her first run for office. Riggs, a former California congressman, won the five-candidate Republican primary by 249 votes. Incumbent Superintendent Diane Douglas finished third. The full broadcast version of this debate will air at 8 a.m. Sunday on 12 News, after NBC’s “Meet the Press” with Chuck Todd. You can also watch the debate on our Facebook page. Want more Arizona political news? Get the 12 News KPNX app for iPhone or for Android to get alerts on important stories from Arizona and beyond.